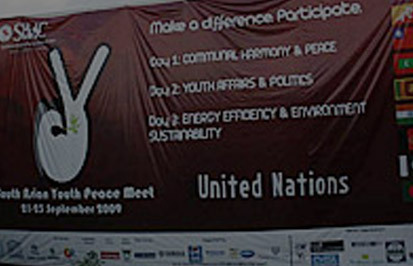 Club Enerji participated in the South Asian Youth Peace Meet. 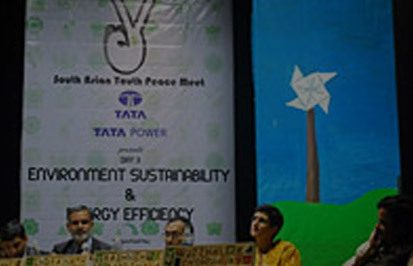 As Tata Power supported the Environmental Sustainability and Energy Efficiency Day at the South Asian Youth Peace Meet, it was an opportunity for our Club Enerji to encourage more young minds to conserve energy. TPEC held a workshop and a stall at South Asian Youth Peace Meet ( SAYPM ) in order to sensitize students from different countries in South Asia. The main objective of this program was to spread awareness amongst students about environmental issues like energy crisis, depletion of natural resources, global warming etc. and motivate them not only to practice energy conservation but also to spread the message across to as many people as they can, from both within the country and abroad. In a two day span a total of 143 students were sensitized at the stall. All of them also signed the pledge for energy conservation. - About Tata Power Ltd.